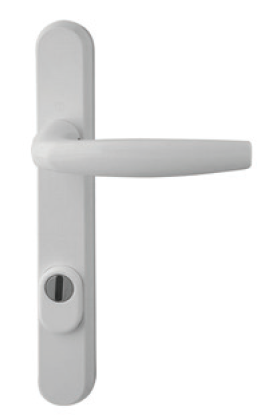 Hoppe Atlanta PAS 24 Handles - DGS Group Plc. 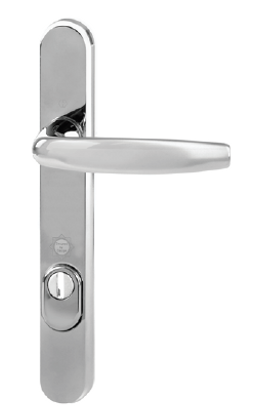 The latest version of the security handle from HOPPE is different. 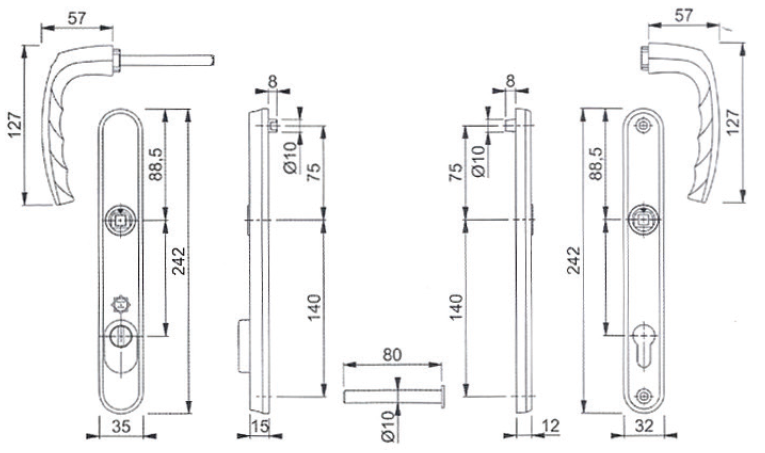 External backplates manufactured from a solid aluminium extrusion, providing added strength and attack resistance. 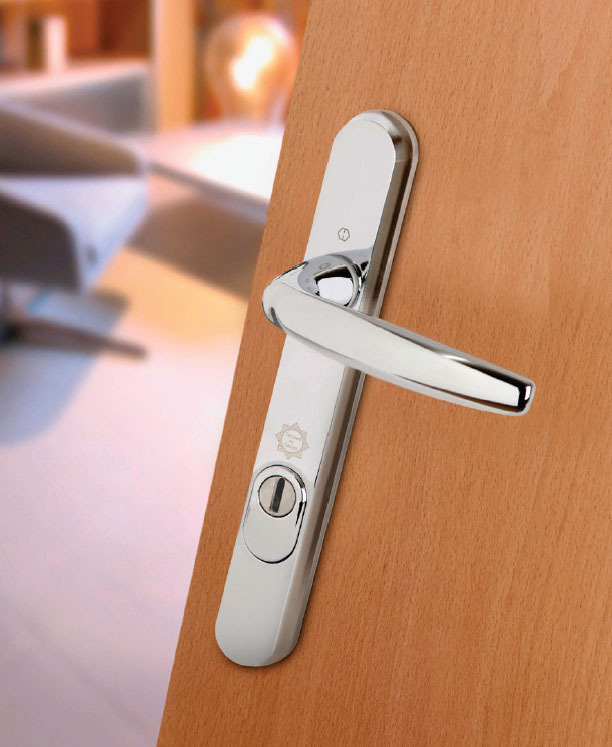 Sliding cylinder cover is designed to protect against attack and is adjustable to suit various cylinder lengths. 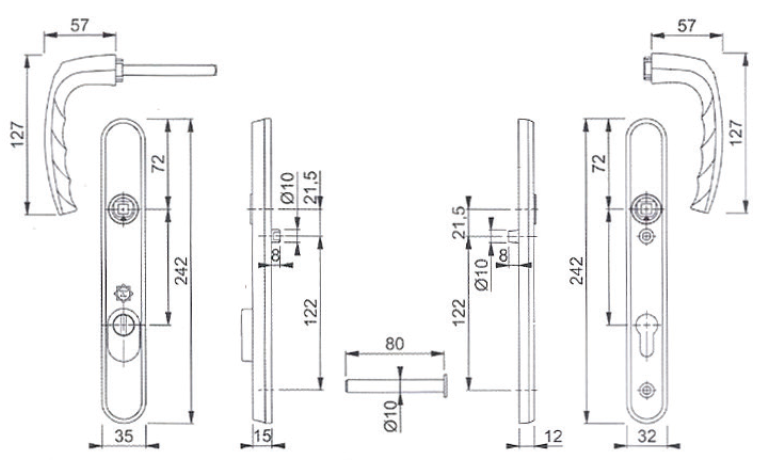 Provided with M6 hardened steel screws for added strength. 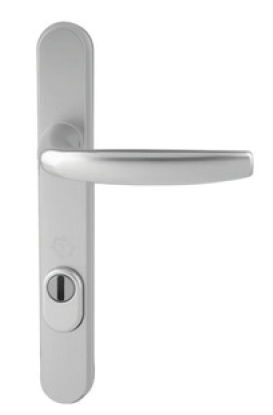 Same fixing positions as standard HOPPE products; therefore the product is suitable for retrofitting; no additional routing or other preparation is required and there is no need to fit additional cylinder protection. Third party independently tested to meet PAS24 requirements. Holds a ‘Secured by Design’ Licence. 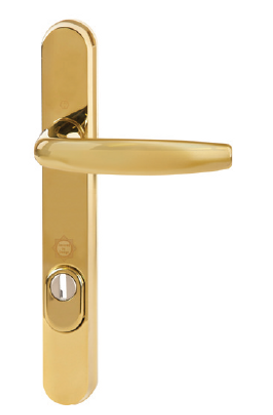 Available to suit a variety of multipoint locks. Patent application pending for new fixing bolt. Unique sculpture design to resist gripping. Highly visible deterrent to deter opportunistic burglars. 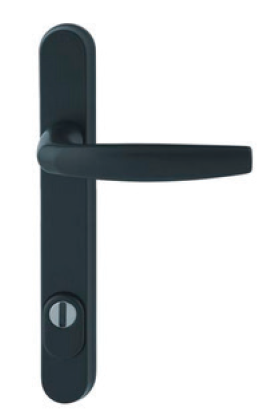 Available in silver (F1), gold (F3) traffic white powder coated (F9016) matt black powder coated (F9714). 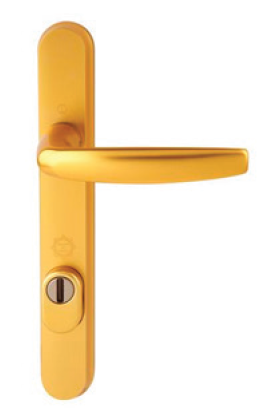 The Hoppe Atlanta series security handle set has been designed to withstand and exceed the 3 minutes attack time contained within PAS24: 2012, clause A.11, part 1 for security hardware. 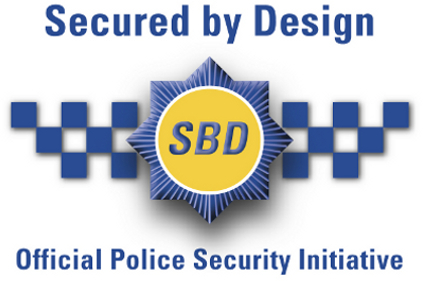 Secured by Design Accredited.